Samsung Galaxy A9 (2018) was launched at an event in Kuala Lumpur on Thursday. The biggest highlight is that it’s the “world’s first rear quad camera” smartphone – with four separate cameras on the rear. The new Galaxy A9 joins the recently launched Galaxy A7 (2018), which introduced the first Galaxy A-Series innovation in the camera department by featuring a triple rear camera setup. Another highlight of the Galaxy A9 (2018) is its Infinity Display, with an 18.5:9 aspect ratio, as well as the presence of up to 8GB of RAM. The company is also touting a 3D Glass curved back. The smartphone succeeds the original Samsung Galaxy A9, that was launched back in 2015. The Samsung Galaxy A9 (2018) price starts at EUR 599 (roughly Rs. 51,300) and GBP 549 (roughly Rs. 53,700). It will be made available from November. 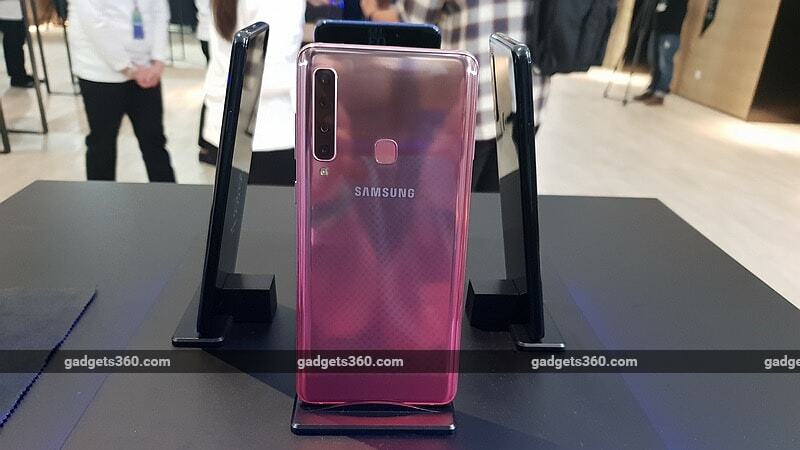 The Samsung Galaxy A9 (2018) price in India was not announced at the event, nor was availability for the market. It will be made available in Bubblegum Pink, Caviar Black, and Lemonade Blue colour variants, with the first and last featuring a gradient pattern.